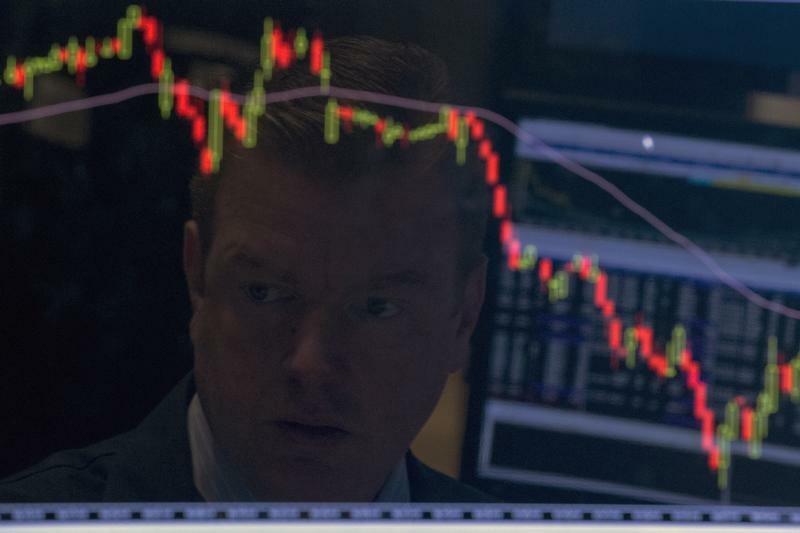 LONDON (Reuters) - Traditional measures of volatility at historic lows and Wall Street stocks at new record highs went hand-in-hand in 2016 with traders fretting about bouts of wild stock-price swings and currency flash-crashes. The past year has been nothing if not paradoxical for financial markets - a landscape that will probably persist in 2017. The proliferation of automated trading and passive investing, extreme levels of speculative positioning in an increasingly regulated broking world suggest investors should brace for periodic turbulence even if markets are mostly calm. While the measures of future or implied price volatility look remarkably subdued, they are disguising a minefield in individual securities and currencies, and - during particular periods - micro market storms that may become magnified as U.S. interest rates rise and other central banks step back from years of anaesthetizing money-printing. An analysis of intraday volatility across major equity, bond and currency markets shows that episodes of sudden, extreme market volatility has become more commonplace in the last two years, even though implied volatility has been contained. With the world's biggest investment banks shrinking market-making activities and balance sheets to comply with post-crisis regulations, the scope for sudden market shocks is rising. "Trades often move in bigger size, quicker, and in blocks," said Charlie Bristow, co-head of rates trading at JP Morgan. "The speed at which order book depth can go from high to low is a new phenomenon, and it won't go away if volatility remains where it is." Officials at the Bank for International Settlements have said that the VIX index is no longer the default barometer of investor sentiment and risk appetite - that's now the dollar - and that bouts of extreme volatility will be more commonplace. Not much of a concern, Claudio Borio, head of the BIS' monetary and economic department, says, along as such bouts pose no threat to institutions' stability or market functioning. Part of the issue is that markets are now driven by lightening quick, complex, computerized trading programs at the big banks and investment funds. Many of these algorithmic models pick up the same 'buy' and 'sell' signals, magnifying price swings. These conditions triggered the "flash crash" in sterling on Oct. 7, which the BIS is investigating with input from the Bank of England. The pound dived and rebounded by about 10 percent in a few minutes in early Asian trading that day, an unprecedented swing for a major currency at an hour when the market is at its lowest ebb. Market participants generally agree that algorithmic machine trading that makes up much of the global currency market played a role, while some have speculated the initial move may have come from electronic news gathering software or other parameters used in trading programs. "We have moved towards more transparent and more automated markets. What that means is that when something happens, firstly everyone knows about it and, secondly, it tends to happen very quickly," said Vlad Khandros, global head of market structure and liquidity strategy at UBS. In equities, the surge in the use of exchange-traded funds which provide investors access to markets at a much lower cost than traditional actively-managed portfolios has significantly altered trading. Roughly 10 percent of a full-day's average trading volume across U.S. exchanges now happens at the close, UBS estimates, nearly double levels seen a few years ago, as ETFs are benchmarked to closing prices. Institutional investors who buy and sell in large quantities are getting increasingly averse to trading intra-day on traditional exchanges when volumes are light. "What we keep hearing from clients is 'get me blocks'," said UBS' Khandros, referring to private transactions that brokers facilitate outside the public auction market. This creates a self-fulfilling cycle of higher trading volumes concentrated in smaller windows on any given day leaving markets prone to sudden swings when no large investor is around to step in. Yet the speed of the market recovery from the Brexit and U.S. election votes set a record since 2004, according to Bank of America Merrill Lynch. There will be no shortage of similar risk events next year. Germany and France hold general elections, with the populist far right in both countries expected to gain ground. The lack of visibility on what Donald Trump's presidency holds could be doubly unnerving given that the Fed is expected to continue raising interest rates. Wall Street is at a record high, the dollar a 14-year peak, and speculators bets against 10-year U.S. Treasuries on the Chicago futures exchange are near record levels. According to Deutsche Bank, world stocks have added $3 trillion in value since Trump's victory and the value of world bonds has slumped by the same. Yet all signs point to markets being more fragile than the low level of aggregate volatility suggests. Higher rates, a shift to fiscal stimulus and changing political winds all mark big shifts from the post-2008 investment world and will likely require a significant adjustment in approach. "Volatility can no longer be put back into the central bank box," BAML analysts wrote.